CactusVPN uses 1 Gbps servers that are never used above 50% capacity. They also provide good customer support if you’re in the same timezone. 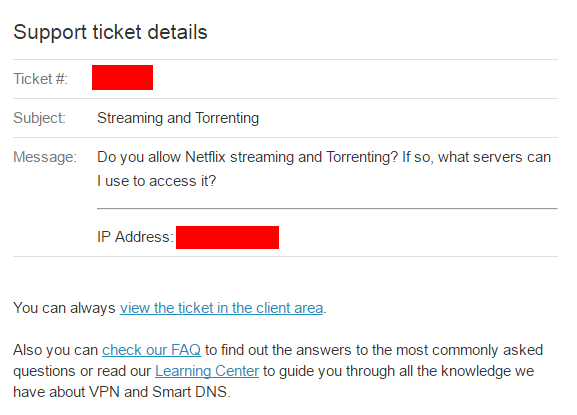 Netflix and torrenting isn’t an issue if you sign up for their full package. In this review, we test CactusVPN to see if it can compete with the leading VPNs – does it have what it takes to go up against the best we’ve seen? Let’s find out. Device Compatibility: Use whatever you feel like! If you’re a user with a lot of gadgets who wants a VPN you can use for all of them, then CactusVPN does just the job. It comes available for just about every platform you could think of! They support MacOS, Windows, iOS, Android, Routers, SmartTVs, and gaming consoles! 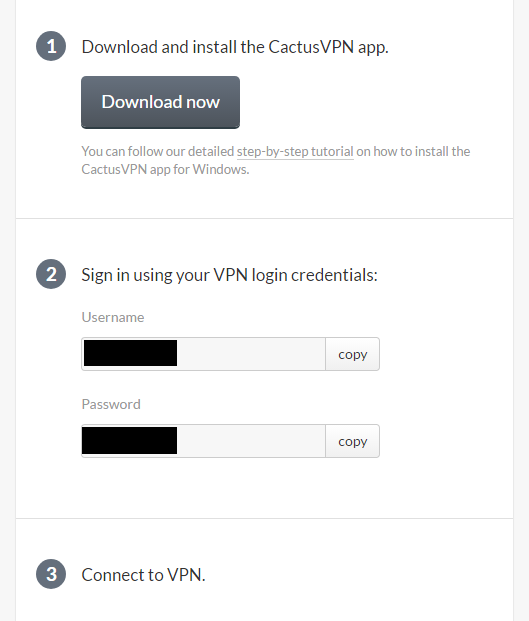 Signing up for CactusVPN is easy, as you only need to follow a few steps. 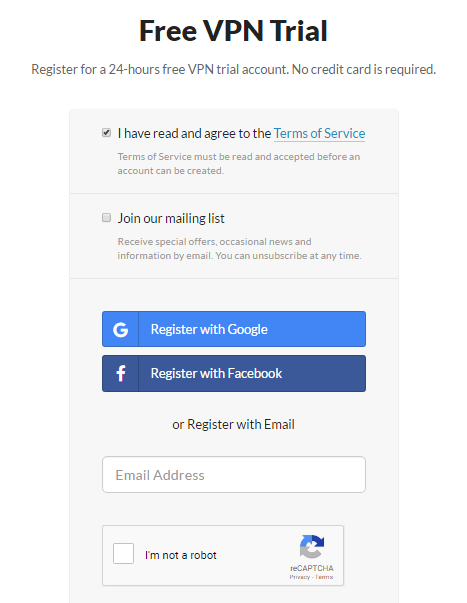 If you’re signing up for the free trial, you just have to enter your email address. If it’s a subscription you’ve signed up for, then you’ll need to first choose the plan you want. 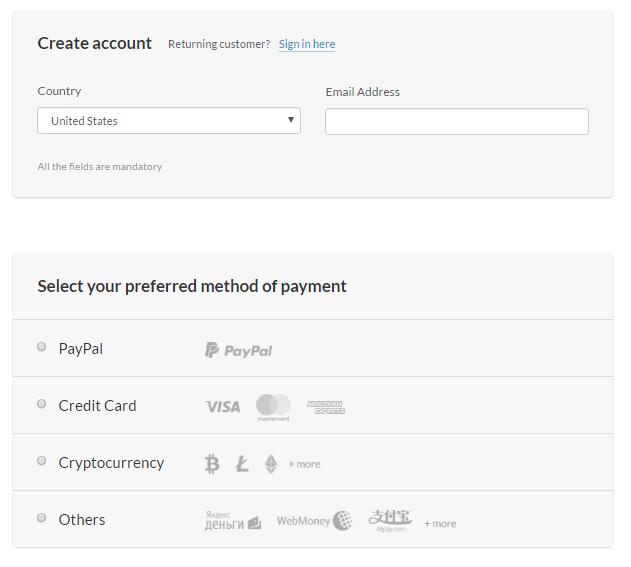 After that, you have to put in your country, email address, and preferred payment method along with your payment details. When you’ve completed all this, you should receive an email saying you’ve completed your set up, and you need to create a password. After you’ve created your password, you’ll need to sign in with the credentials you’ve created. And voilà! You’re all set! To get started, go to the “How to Start” page, where you’ll see a download link and the username and password you should use when signing in. 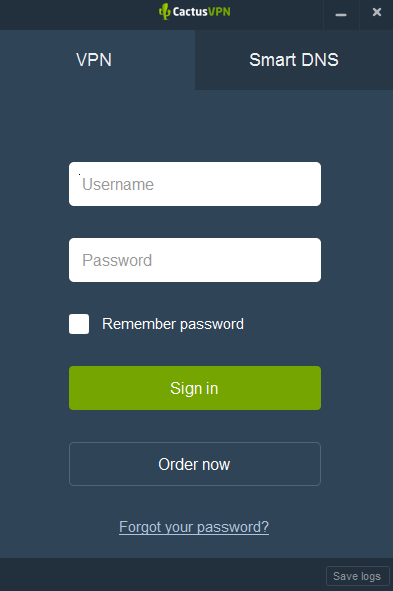 Once you log in using the provided credentials, you’ll find the application design pretty simple, and easy to navigate. 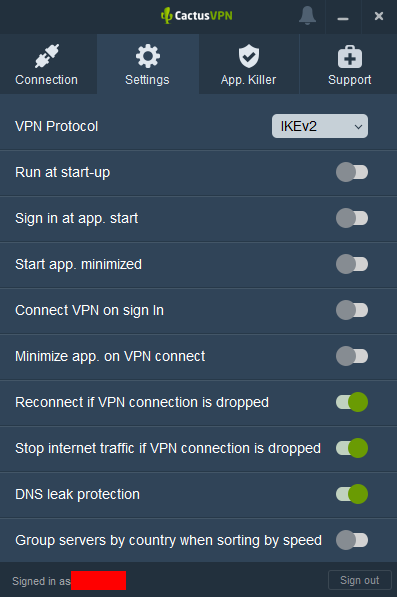 In the settings, you can change the protocol you’re using to whatever you find works best, turn on/off a couple of things like the kill switch, DNS leak protection, reconnect connection when dropped, and more. They even have an app killer where you can specifically choose apps to kill or turn off when a connection drops. Customer Support: It’s all there! For customer support, live chat is available, albeit not 24/7. Their working hours are from 7:00 AM to 4:00 PM and 6:00 PM to 2:00 AM UTC. 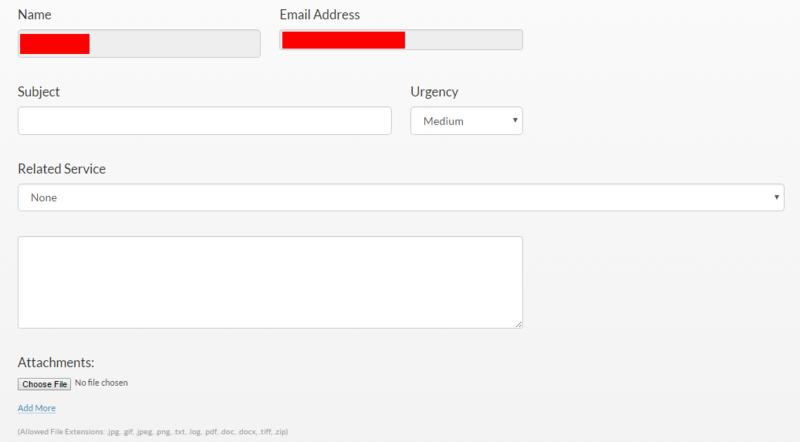 In case the live chat agents are offline, CactusVPN offers a ticket system. They’ll only ask you for the basic information like your email address and name (which should all be automatically filled), your area of concern, and the description of your concern. After sending your ticket, you’ll get an email confirming that they’ve received your ticket. They’ll respond virtually right away, and the response you’ll get is relatively helpful – compared to other VPN ticket support systems we’ve reviewed, CactusVPN support staff seem to know what they’re talking about. Product Documentation: Handy and expansive! 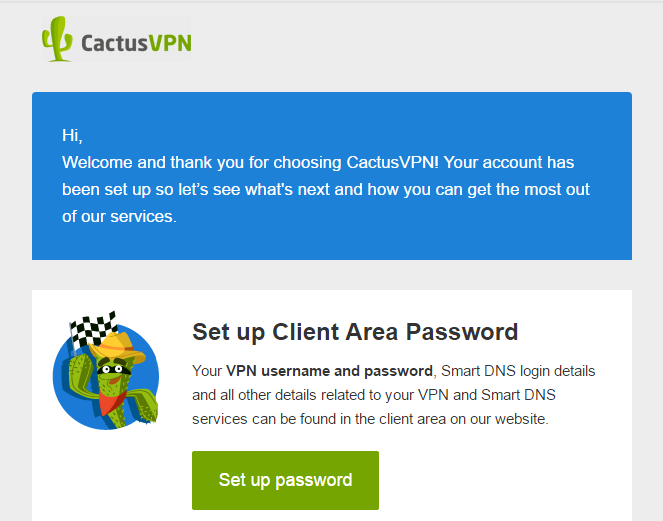 Besides from a good ticket system, CactusVPN also offers an FAQ page that answers general questions, VPN and Smart DNS questions, Account settings, Troubleshooting, and set up. In addition, they also have a Learning Center page designed to guide you through the inner workings of VPNs, Smart DNS, and internet security in general. Very handy and a welcome addition to the service. You’ll also find a Setup Tutorial page, which as the name suggests, is a guide in setting up your VPN for all the devices that they offer! Overall, a strong support offering. Unlike other VPNs that advertise having a “no-log policy” but actually log some of your information, CactusVPN’s claim actually holds up. CactusVPN stores absolutely zero information. They don’t store your IP addresses, traffic logs, connection time stamps, used bandwidth, session duration, or any information that can be traced back to you. They also guarantee that none of the information you put on their site will be passed to any third parties. 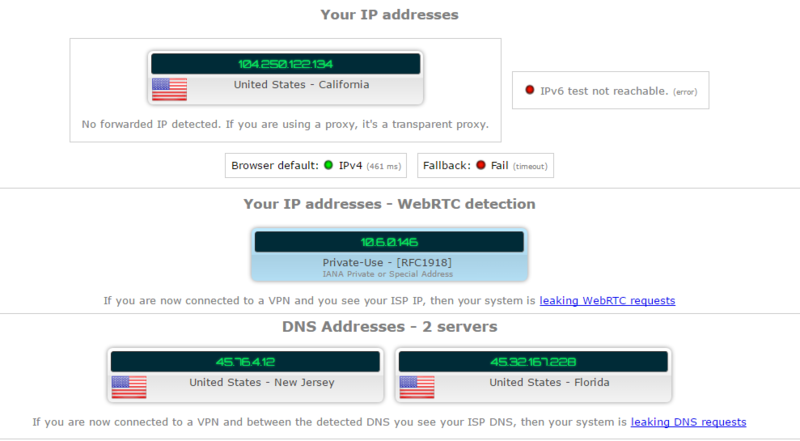 Despite slow speeds, CactusVPN managed to pass our IP and DNS test, proving their claims of security and privacy. Good news! They have a built-in kill switch. This feature is a must-have, as it ensures the users’ safety and privacy if ever something goes wrong and the connection is disrupted. CactusVPN offers three basic plans: US VPN, UK VPN, VPN+Smart DNS. Their US VPN and UK VPN both cost $4.99 a month, but the US VPN only gives you access to four VPN servers in the USA, while the UK VPN gives you access to four VPN servers in the UK. Their VPN plus Smart DNS plan costs $6.99 per month, and gives you access to all 23 servers, and allows torrenting and streaming. Along with this, they also have a plan that’s solely for their Smart DNS, which costs $4.99 per month. These plans also come with a quarterly and annual payment options, which work out to a cheaper cost per month on average. Obviously you’ll need to pay the period in full. They do offer a free 24-hour trial so you can test out their service before making any financial commitment. In the end, if you can’t afford the most popular option, you can always opt-in for the lighter VPN packages. A month-to-month subscription of $3.49 won’t break the bank, and if you pay annually, it comes out to $27.29 which is a measly $2.27 per month. If you opt to subscribe right away, they have a 30-day money back guarantee that you can make use of, should you quickly become tired of their service or find that it’s not for you. Payment Methods: Use just about anything! 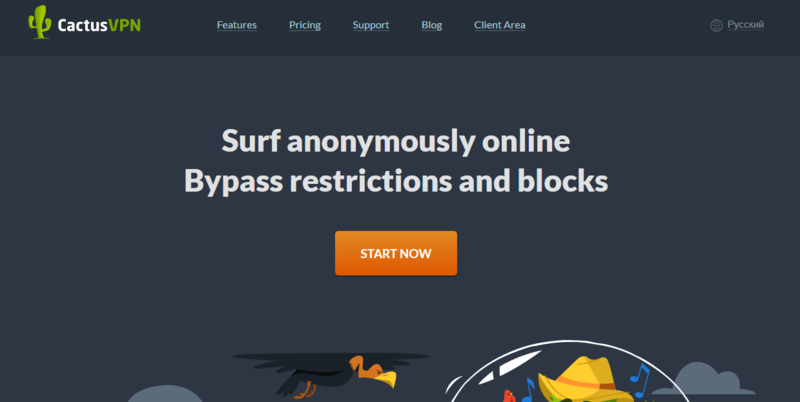 Paying definitely isn’t a problem for this VPN; they offer a variety of options. Be it your credit card, Paypal, money transfers, or cryptocurrencies! Most VPNs you’ll encounter probably offer top-of-the-line 256-bit encryption. CactusVPN isn’t an exception. But they do also promote the use of AES-128 and explain that the AES-256 counterpart will use up to 40% more CPU. This also enables faster connections, but you’ll find out in the cons section that this strategy doesn’t seem to be working for them. When it comes to protocols, CactusVPN has a wide array to choose from. They’ve got OpenVPN, IKEv2, PPTP, L2TP/IPSec, SSTP, and SoftEther. Typically, OpenVPN will probably be your go-to. This is the current leading protocol and is used by high-end companies and other VPNs because of its strong protection and speed. For OpenVPN, CactusVPN is configured with a minimum AES 128 CBC. Of course, if you’re using other devices, the compatibility and performance of the protocol may vary; so a good set of protocols to choose from is a great inclusion. CactusVPN claims that when you use their service; you’ll be able to unblock and bypass restrictions that companies, such as Netflix, impose. We were excited to test this out for ourselves, but unfortunately no Bueno; we had no luck initially – and we figured out why. It turns out you can only get access to the 280+ websites that they have unblocked if you subscribe to their most popular package (VPN+SmartDNS). But once you pay, you’ll have access to these sites. For VPN services that work with Netflix no matter which package you buy, check out our list of the best VPNs for Netflix here. Torrenting works in similar ways. It’s fully unlocked and included in the VPN+Smart DNS package. They allow torrenting in 5 countries across 8 servers: the Netherlands, Germany, Switzerland, Spain, and Romania. These are apparently countries that are more liberal than others, hence CactusVPN’s enablement of torrenting in those regions. These five servers are also only available if you get their VPN with their Smart DNS. Again, if this seems like a hassle, you’ll be better off using one of these best VPNs for torrenting. Servers and Locations: Erm, where are the rest? If you want a wide array of servers to choose from, CactusVPN may not meet your needs; it offers just 23 servers in 14 different countries. Though limited, they do cover major places like Germany, Singapore, the United States, and the United Kingdom. Still, much more limited than other VPNs we’ve looked at. 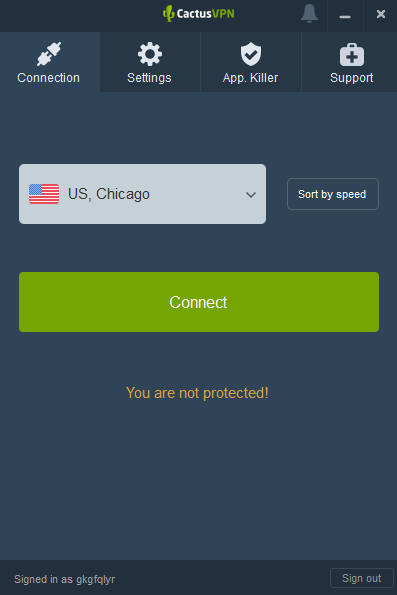 After testing this VPN, there is definitely a need for improvement in terms of speed; the results we got were far from fast! We were definitely disappointed that the speeds we got were this slow, even considering the encryption profiles. CactusVPN was launched in 2011 by three friends. Based in Moldova, they had a huge jurisdictional advantage; with some technical background to boot. By 2013, they hired their first employee. They are a private company and does not have investors. Background checks reveal that they remain a small team, still based in Moldova, with its original founders working hard to improve the product. CactusVPN is based in Moldova which means they don’t fall under any of the data-gathering government jurisdictions known as the Five, Nine, and Fourteen Eyes Alliance. This is a great bonus compared to other VPNs that often operate under the FVYES. CactusVPN has some strong benefits to offer customers, but would we recommend it? Just maybe. Their good customer support, zero logs, and the wide array of protocols they offer is no doubt an amazing range of strong features. 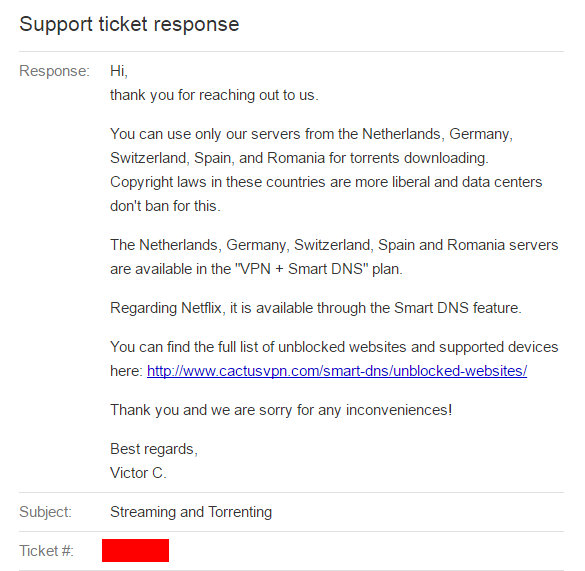 However, speeds suffer, and their Netflix and Torrent options are only available if you purchase their VPN with SmartDNS. Their server options are lacking, and two of their plans limit you to just 4 servers a piece. Looking for a great all-round VPN? CactusVPN could be it if you’re willing to pay. If you’re going to spend money, make sure you’re getting what you deserve. We suggest checking out other VPNs before deciding which to purchase – check out our top VPN review list for some of the best options on the market.